At Stuart C Hill Jr., CPA, PLLC, we're skilled Fort Worth, TX tax professionals dedicated to helping individuals and businesses break free from IRS tax problems. 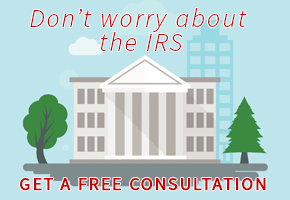 We have extensive experience dealing with the IRS and know the U.S. tax code inside and out. When you turn to us for help, we'll communicate with the IRS on your behalf so you can avoid the stress and aggravation of attempting to resolve your tax problems on your own. We can file back taxes, end wage garnishment, get tax liens released, represent you in an audit, or solve payroll tax problems. Whatever tax relief services you need, we can deliver. It's true that quality tax help costs money, but qualified tax professionals like us can offer the help you need to settle your tax debt along with the personal attention you deserve. We care about the financial welfare of each of our clients so we always explain your options clearly and keep you informed as we make progress. Our goal is to reduce your anxiety by finding the best possible solution to your tax problems using methods that are honest and ethical. Act Now to Settle Your Tax Debt! Don’t waste another minute worrying about back taxes and penalties! Stuart C Hill Jr., CPA, PLLC is ready to start working on tax relief solutions that will get the IRS off your back and allow you to get on with your life. Call us now at 817-332-3320 or request a consultation through our website. 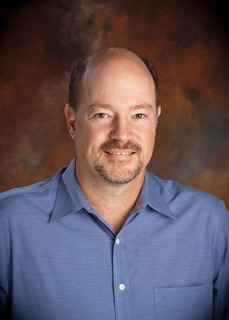 Stuart graduated from Oklahoma State University in 1986 with a Bachelor of Science with a major in Finance and Accounting. Stuart received his CPA licenses in 1997 while working at Lockheed Martin. Stuart has 10 years of management experience while working at Lockheed Martin, Bell Helicopter and Computer Science Corporation. While working in the Aero Defense Industry Stuart managed the startup of the Lockheed Martin Billing and Collection process located in Washington D.C. Stuart also has SAP project management experience working to implement new SAP accounting systems at Lockheed Martin and Bell Helicopter. Since earning his CPA license in 1997 Stuart has been helping clients to meet their financial objectives both for individuals and businesses. Stuart is a member of the American Institute of Certified Public Accountants and Texas Society of Certified Public Accountants.